A roundup of my favorite Mexican-inspired recipes to enjoy on Cinco de Mayo. Sauces, dips, meats, and more. (Updated post.) We are one week away from Cinco de Mayo and I’m already planning Mexican-cuisine-inspired dishes I’ll be cooking for our own little fiesta to honor the occasion. Before I share my favorite Mexican-Inspired recipes for Cinco de Mayo, I feel that I should disclose something: I am not even a tiny bit Latina. Even so, I am deeply appreciative of Latin American food and culture. This came about, in part, because I had an especially fantastic Spanish teacher in high school who, in addition to the language, taught extensively about Mexican culture and even led a traditional Mexican dance group—El Ballet Folklórico Xochitl, Portland OR—which I joined during my junior year. Later, during graduate school, I enjoyed being immersed in Latin American culture during several field trips to Mexico and South and Central America. Of course, being able to speak conversational Spanish during these trips made my experience much more meaningful (thank you, Don Pepe!). Many people think that Cinco de Mayo is Mexico’s Independence Day. But, THAT date—the beginning of the Mexican War of Independence against Spain—is September 16, 1810. Cinco de Mayo celebrates the 1862 victory of General Zargoza’s wildly outnumbered Mexican army over the forces of Napoleon III during the Battle of Puebla. The victory inspired hope and patriotism for French-occupied Mexico, though it would be many more years before Mexico would be free of the French occupation. The Battle of Puebla Mexico is reenacted each year on Cinco de Mayo. Although it’s not a huge holiday in Mexico itself, in the United States Cinco de Mayo has evolved into a celebration of Mexican culture and heritage, with parades and festivals featuring Mexican food, artwork, traditional dress, music, and dance. Like the many other cultural festivals held throughout the year, Cinco de Mayo celebrates the rich cultural diversity that is an essential part of the stuff that makes a country great. Without further ado, I’ll share a sampling of my favorite Mexican-inspired recipes for Cinco de Mayo celebrations. We will be enjoying Mojo Carnitas this year with all the fixings—with a side of margaritas. 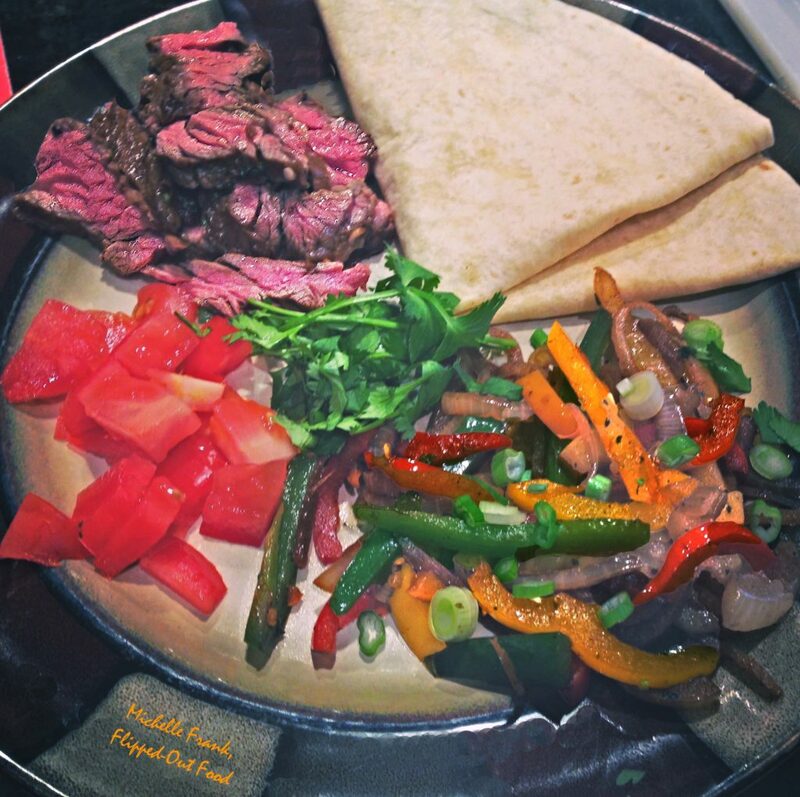 Carne Asada: if you do the meal prep in advance, this is a lightning-fast meal with succulent meat and vibrant fajita vegetables. The marinade for the meat is like a Cuban mojo. Any leftovers are fantastic in fajita quesadillas. 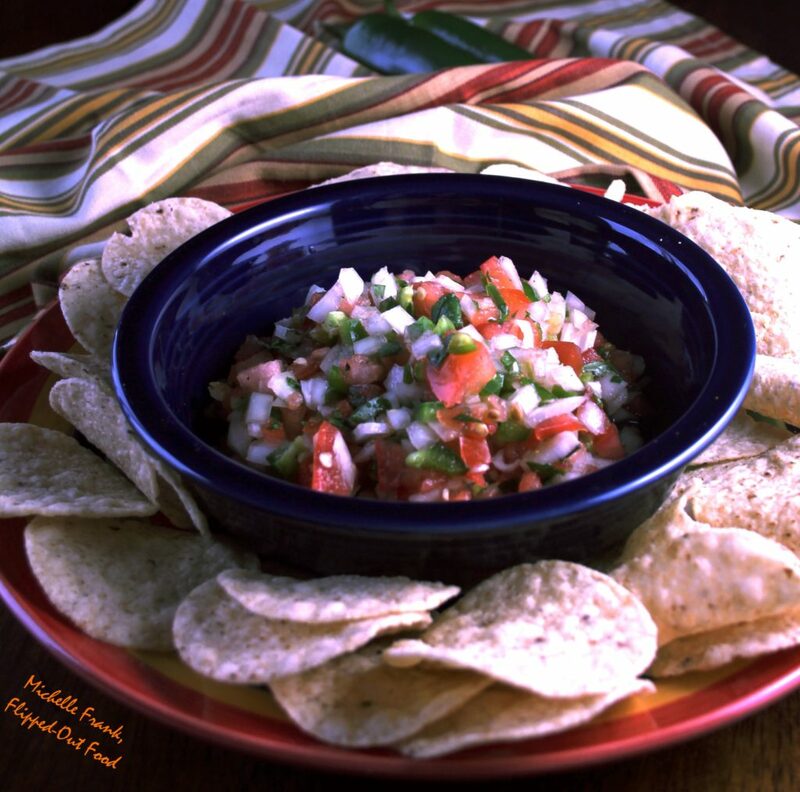 Pico de Gallo: the simplest, freshest salsa with tomatoes, onions, jalapeños, and cilantro. Fantastic with tortilla chips or as a garnish for meat or fish. One-Pan Arroz con Pollo: this classic rice and chicken dish is ubiquitous throughout Latin America. It’s a truly impressive meal, from the presentation in its cooking pan to the riot of flavors and textures. I always serve it with pickled red onion. 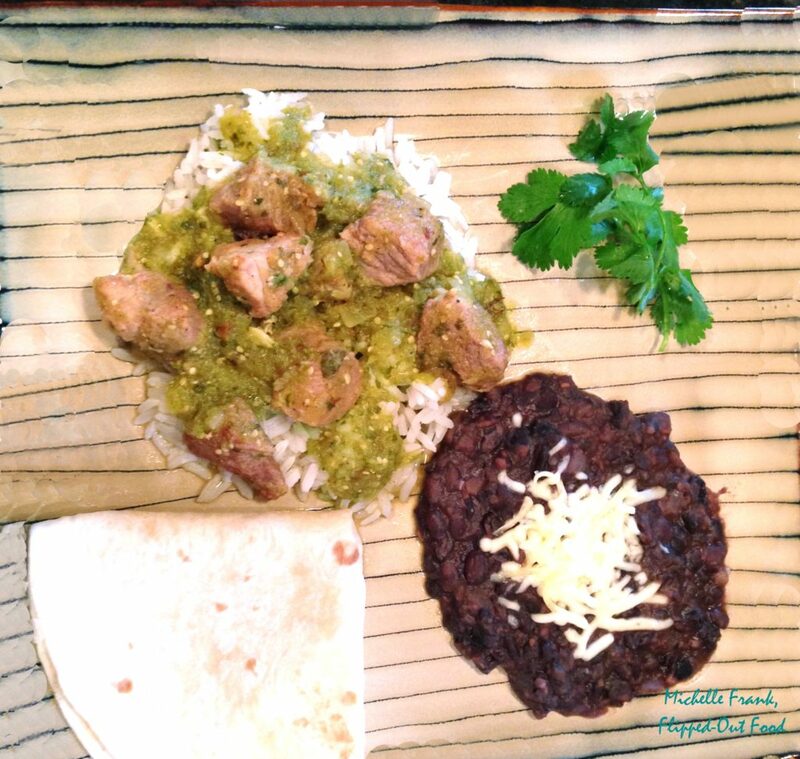 Pork Salsa Verde: pork shoulder is slow-cooked in salsa verde and broth until succulent and tender. You can eat it as a stew (Green Chile Stew riff) or over rice with more Salsa Verde. The leftovers are absolutely delicious in Enchiladas Suizas. 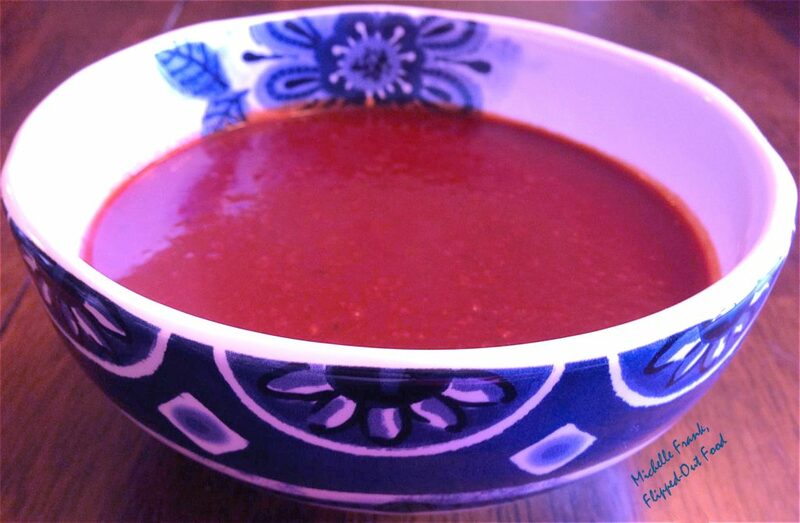 Red Enchilada Sauce: my spin on authentic Mexican red enchilada sauce. 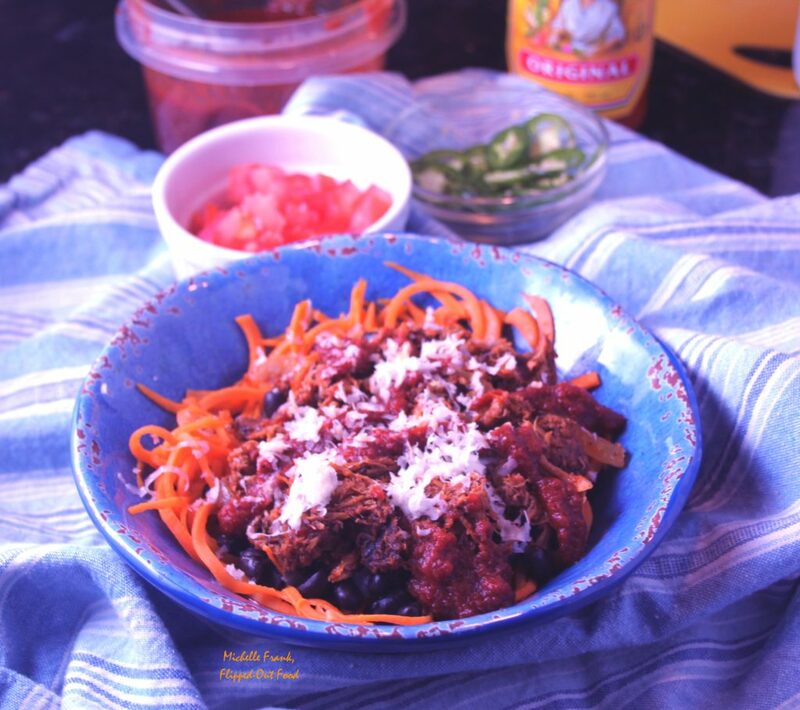 This is a fantastic weekend cooking project that belongs on the “Saucy Two-Step” page of the Flipped-Out Food playbook, because it’s used during the busy week for simple meals like Red Enchilada Bowls with Sweet Potato Noodles and Red Enchiladas or Chilaquiles (below). Red Enchilada Bowls with Sweet Potato Noodles: a playful nod to the burrito bowls at Chipotle—except that the sweet potato noodles are miles healthier than rice. If you spiralize the sweet potatoes in advance and use up any cooked meat you have kicking around in the fridge, this meal is utter simplicity. 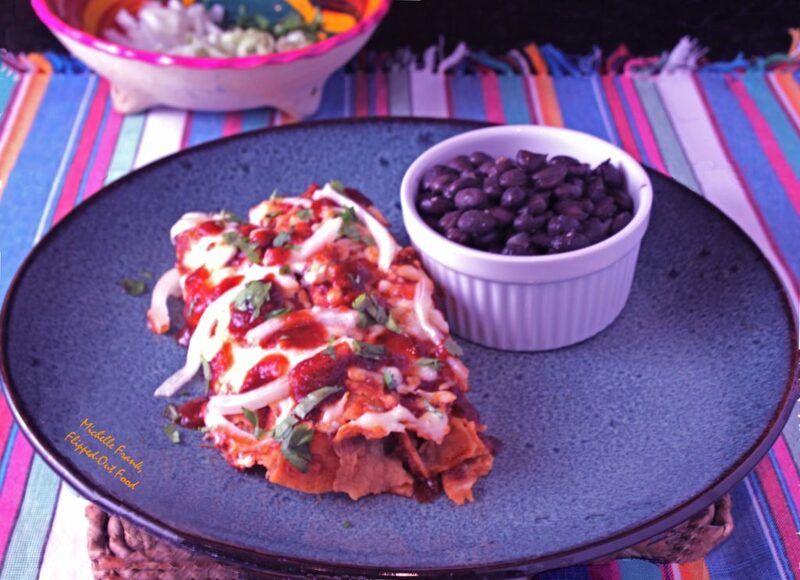 Red Enchiladas or Chilaquiles: these enchiladas come out of the oven ooey-gooey and bubbly. The chilaquiles riff is an even easier weeknight dinner. A great way to use up leftover meat! 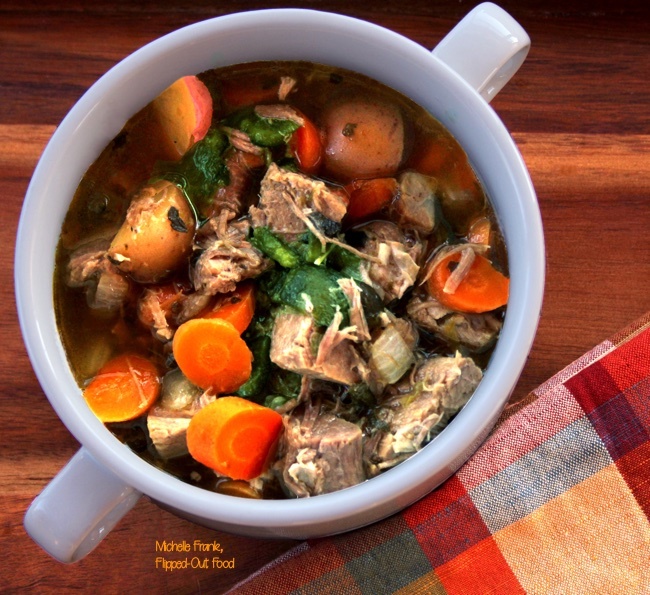 Caldillo (Pork Green Chile Stew): a spicy, hearty dish with roots in Mexican and New Mexican cuisine. 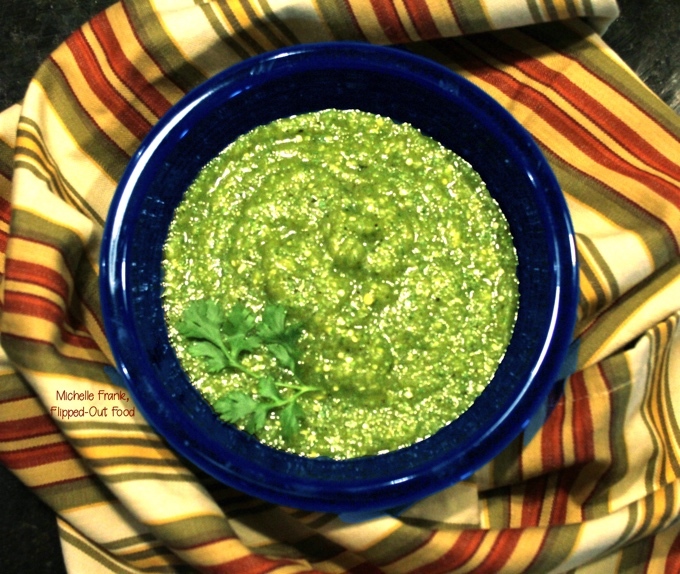 Salsa Verde: this salsa gets its great flavor from charred green peppers, tomatillos, and onions. It’s a great weekend cooking project that results in a delicious sauce that serves not only as a fantastic dip for chips, but also as the base for such wonderful meals as Green Chile Pork and Huevos Rancheros Salsa Verde. 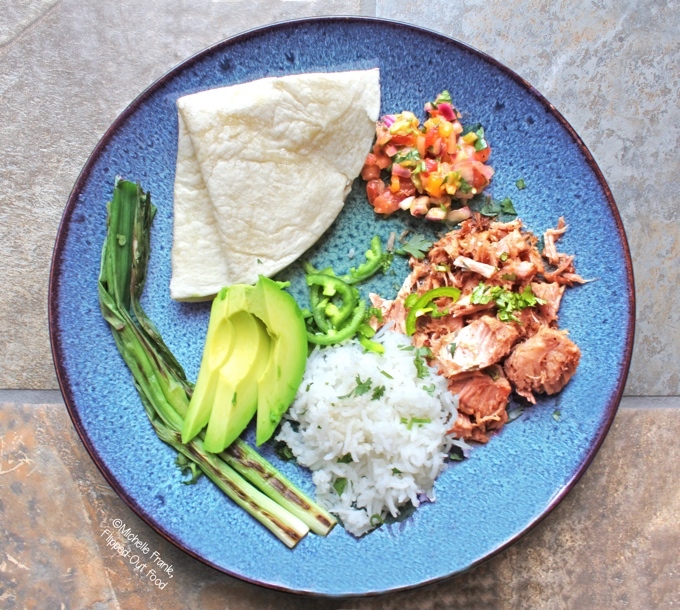 Slow-Cooker Mojo Carnitas: an easy “set-it-and-forget-it” weeknight meal, but flashy enough for a weekend dinner party. I love to serve the carnitas buffet style, with a DIY taco bar featuring warm tortillas, salsa, garnishes, and condiments. I completely forgot Cinco de mayo is right around the corner… I gotta get started on some of these babies!!! Whoo! My mouth is watering…Mexican is my ultimate comfort food! I always feel the need to make the same disclaimer when I post Mexican food recipes since I’m definitely not latina and I worry about upsetting people with cultural misappropriation! These all look delicious and I’m dying to make the chilaquiles, which are one of my favorite breakfast foods! Thanks, Amy! Yes! I totally get that! WHat a sensational compilation of recipes! I guess nothing stands in the way of a fiesta now! Your Spanish teacher from high school sounds awesome! I love Latin American food and culture as well. 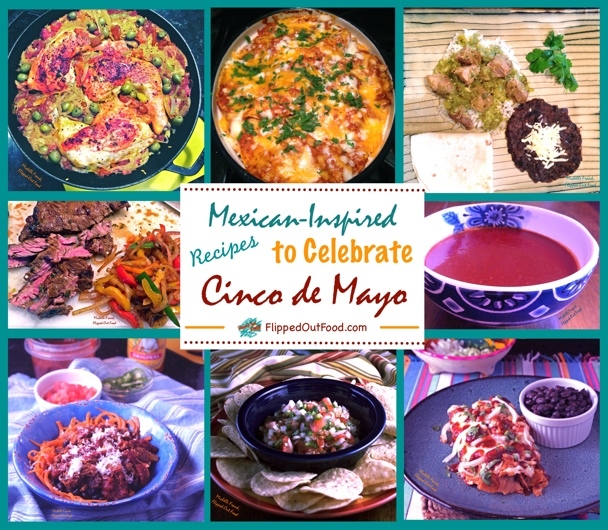 Your recipes for Cinco de Mayo look perfect for celebrating! Love the huge flavors you’ve created! Thanks, Lindsay! He really was awesome, and I’m forever grateful to him. I hope you enjoy the recipes!